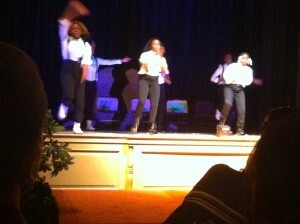 Downtown’s FootLight’s Group “Sparkles” at End of Year Show! On Friday, June 21st, the students of Downtown’s FootLights program celebrated their 10th anniversary of their amazing performing arts program at their Annual End of Year Show at the Aetna Insurance Company. 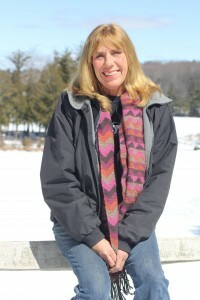 The production was led by FootLights director, Debra Mauldin. The show consisted of dancing, drumming, spoken word and vocals. This group of youth performers were so dedicated all year to learning all the skills they needed to put on a professional quality show! We are so grateful to the many volunteer musicians and artists that helped to make the show such a great success! 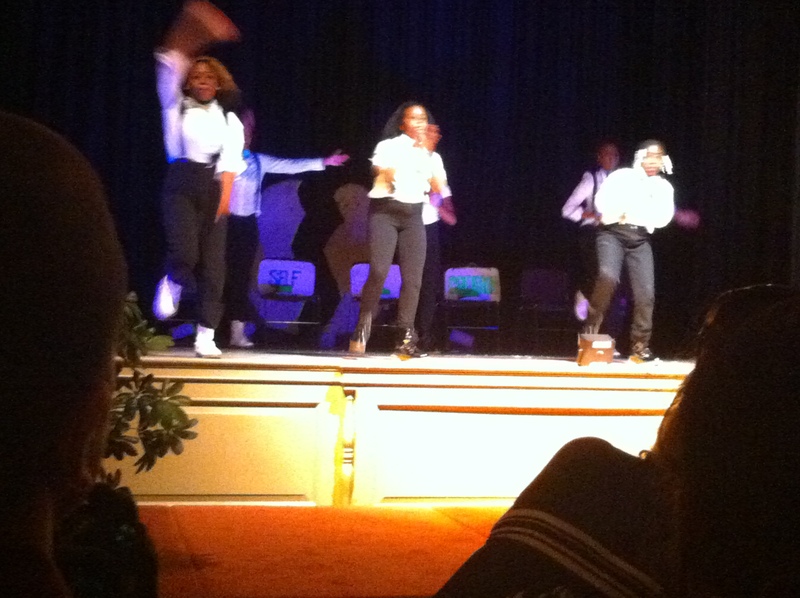 FootLights continues to inspire and teach the youth of Hartford that hard work and commitment pays off! 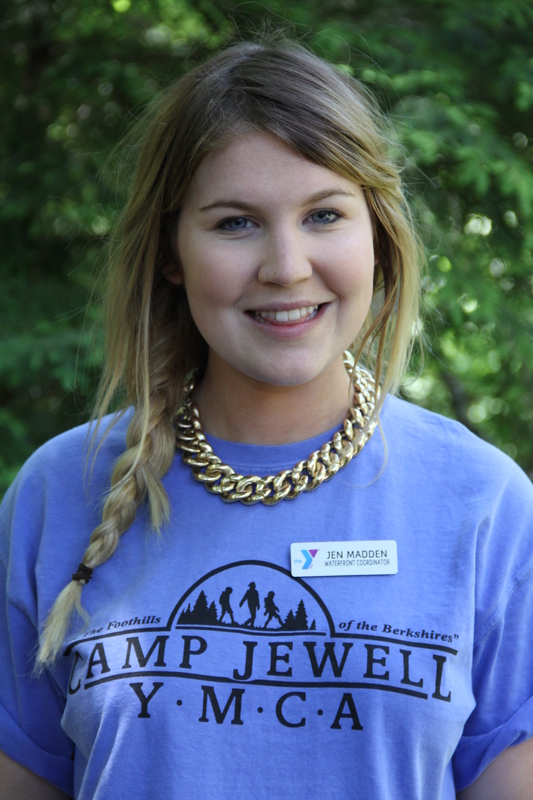 Meet Ke$ha, our waterfront coordinator who’s back from Ireland for her fourth summer at Camp Jewell! My first camp experience at Jewell was four summers ago. I came from Ireland and worked as a Utopian counselor and it changed my life. It changed the way I saw things and introduced me to some of the best people I’ve ever met. For me, being at camp is in some ways a lot like it is for you. I’ve come to the U.S. every summer for four years, but I spend the nine months that I’m back in Ireland waiting to return. It’s kind of like how many of you feel during the school year when you can’t wait to come back to camp to see your friends and your favorite counselors. Even though a whole year has passed, when I see my camp friends it’s like we just saw each other yesterday. We’ve all grown so much in a year, but in a lot of ways we’re still the same. And most of all, we’re still great friends. When I first arrived at camp I felt like I had been dropped in the deep end. It seemed everyone had known each other forever, yet I didn’t know anyone. But by the end of the first week of being here I felt like I’d been here for years myself. Everyone was so welcoming to me, and I learned that if I needed help, all I needed to do was ask for it and someone would be there for me. I’ve changed a lot because of my time at camp. I have different priorities now than I did when I first came here. Now I know my family and friends are what really matter, along with being active and being content with what I want to do instead of trying to keep up with what other people are doing. Even my parents noticed a change in me, and for the better. I just finished art school at home, and it took me awhile to decide what I wanted to do with my degree. It’s because of the time I’ve spent at camp that I’ve decided I want to be an art teacher. Camp helped me push my limits and realize what I’m capable of, and I know it can do the same for you! When was the last time you tried something new? Do you remember the feeling you had? Excitement, anxiety, maybe fear. Today I was able to give that opportunity to 19 campers of the Trailblazer and Pioneer groups. This group of 9-12 year olds trekked the 1/2 mile walk from camp to the Koeppel Sports Center on the Trinity College campus. The excitement of this new adventure really sunk in when the doors were opened and a full size skating rink stood before them. My predecessor had built a relationship with the director of the sports center, Rich. When I took over for Camp Dakota I began making phone calls to all of the former contacts. After a brief conversation, Rich informed me that he had a decent stock of rollerblades that were purchased with a community grant and that we could use the space and equipment at no cost. I was thrilled to be able to give this opportunity to my campers! When they entered the building, reality set in. They were going to be putting on shoes with wheels! Some were excited, some were nervous, but regardless of their feelings or fears, every single camper participated. Most of them had never put on skates before! It was such a wonderful experience to be able to share something with my campers that I grew up doing. Eventually our time was up and we had to make our way back to camp. As they were taking off their skates and putting on their shoes, one camper asked if we would be able to come back some day. 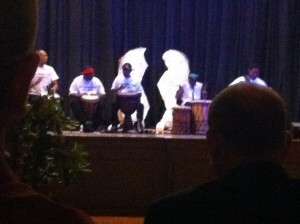 When I shared with them that this was going to be a weekly event, they were ecstatic! Many campers thanked me with hugs and my favorite, high fives. One boy even stated that even though he spent most of the time on the floor (from falling) he was so excited to come back and try it again. This past Wednesday evening, participants of our LiveStrong program at Downtown, took part in a nutrition workshop led by Courtney Titus, who is a certified holistic health coach. Courtney introduced the group to the benefits of drinking water and eating well. 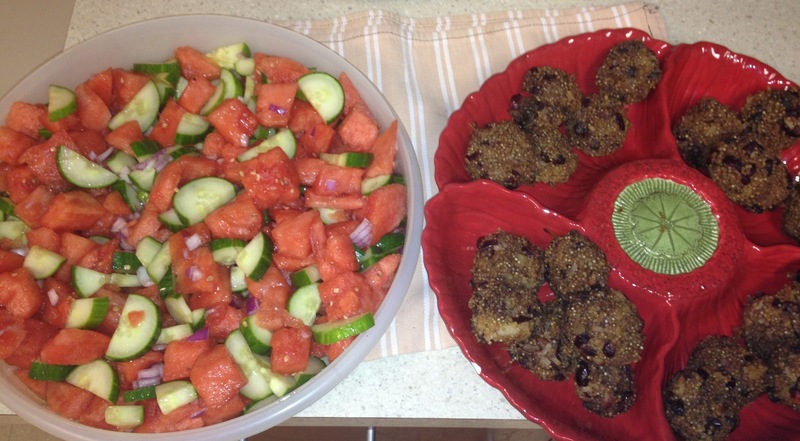 She made several healthy recipes for the group to try out (quinoa crack balls and a watermelon cucumber salad) and showed them how they could make them at home. The impact that this had on them was amazing! Thank you Courtney, for giving them great ways to stay healthy and enjoy good food! My name is Vatrece Williams and I’ve been working for the Wilson-Gray YMCA for a year now. I have learned so much as an employee at the Y. I have more than just colleagues at work; I have a second family and true lifelong friends. 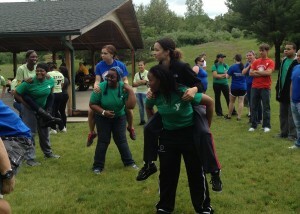 My most memorable moment to date is the training I received at CampYankee. 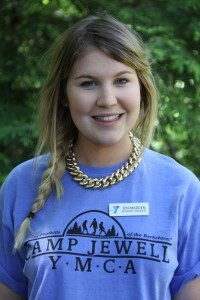 I went to training at YMCA Camp Ingersoll and when I arrived, I was in amazement. The camp counselors of CampIngersoll had created a tunnel that everyone walked through. They were dressed in costumes and were very enthusiastic. Every one of those counselors had a big smile and gave me an awesome hi five; I felt so welcomed. We sang camp songs and did a whole bunch of camp games, it was so awesome! I never had the opportunity to go to camp when I was young. When I attended that training, I wasn’t just a camp counselor; I was able to play the part of a camper. It felt great to let loose and have some good clean fun. I will always remember how much fun I had and everything that I learned. CampDakota will be whatever I make it to be. So this summer, it is up to me as a counselor to make sure that the kids of Camp Dakota have the most magical and memorable moments of their lives, just as I did at Camp Yankee. Last Friday, June 7th, several of us from Downtown and from some of the other branches as well, had the wonderful opportunity to attend the AYP Annual Meeting in Mystic, CT. While we were there, we were fortunate enough to be inspired by a guest motivational speaker named Norm Bossio. For those of you who have not had the privilege of hearing Norm speak, he is a truly amazing person. As a former teacher, principal and superintendent of public schools, Norm’s ability to share with others what is really important is something everyone should hear at some point in their life and I challenge anyone not to be inspired to try to live by what he suggests. Although there were many things that I took away from Norm’s “talk”….I remember one statement very clearly. He said, “If you are not having fun, your members will not be having fun, so you should find another job”. I am proud to say that I am fortunate enough to work with so many fantastically fun people at Downtown, we truly love each other! We strive each day to bring fun into what we do and when the members see that we are having fun ourselves, it makes them want to have fun too! Never underestimate the power of the “sparkle”, this is what we refer to as our special ingredient at Downtown….it is what makes people want to come here, it is infectious!!! !So…even when you might be having a less than “stellar” day…try to let your sparkle shine, even if just a little…there may be someone who depends on it. What it means to be a Black Man!!! 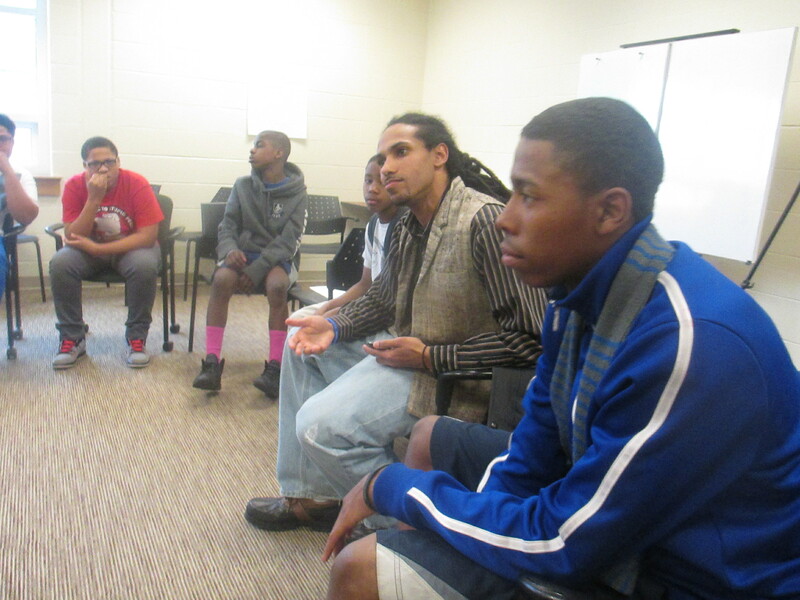 A group of Y-TIP males had the opportunity discuss the struggles of being a black male. They had deep conversations pertaining to violence, drugs, fatherhood, success, lack of positive resources dealing and life experiences. In addition, solutions to why young black males have these struggles were addressed as well. They discussed the many positive influences in their lives as well. 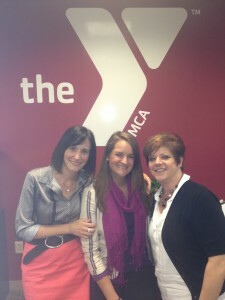 The males were in agreement that the YMCA has been a a major source of positivity in their lives. They have the caring adults in their lives in order to help them navigate through life’s obstacles. 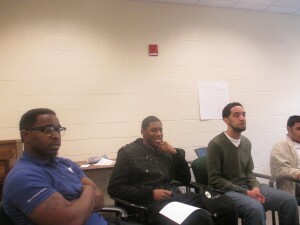 As part of the group discussion, they created a spoken word project that conveys what it means to be a black male. These youth leaders will focus on making positive strides toward successful futures. They will not let the circumstances or barriers in their environments dictate their future plans and goals. 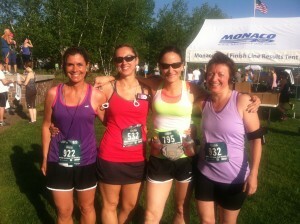 Downtown YMCA Members Conquer Iron Horse Half Marathon!! Despite the heat last weekend two members of the Downtown YMCA completed the Iron Horse half marathon in Simsbury! Sue McDowell and her friend and training partner, Heidi Randolph helped to pace the two women throughout the race. Fonda Gendron, who is also a spin instructor at the YMCA, had run the same race a few years ago while 5 months pregnant and wanted to come back to see if she could better her time. She did an amazing job, finishing in 2:03, a very respectable time for anyone doing a half marathon. Hilary Respass, another member of Downtown, also finished in just over 2 hours, this was her first half marathon. Both women were so excited to have achieved their goal and can’t wait to start training for their next race!! They are part of the new Runhers at Downtown group and are hoping to take part in the Hartford Marathon with their team as part of a relay in the fall. Go Girls!! Lisa Hirle is our Hide-A-Way Dining Services Manager, but equally important is her unofficial title of “camp cookie lady.” She bakes all kinds of cookies—the flavor depends primarily on what she has on hand at any given time—and they’re a sweet treat for whoever is lucky enough to get to eat them. But they also serve as a way to bring more kids to camp. That’s because she doesn’t give them away, instead she raffles them off to kids and families at camp through the year, with the proceeds going to Project 236, our Annual Strong Kids Campaign that brings 236 kids to camp regardless of their ability to pay. As a result, Lisa has raised more than $20,000 towards this initiative over the past few years. After several years of owning a car dealership and repair shop in Collinsville, Lisa closed its doors in 2004. She found out about a part-time job opening in the camp kitchen from her Colebrook neighbor Sally Parris, who worked here at the time, and she pursued it. She’d known about camp for years; she came in the 1960s as part of an outdoor education program with her school, and spent some time here in the 1980s. In the 1990s her son came as a camper. In 2007 she transitioned to a full-time employee and last year became the Hide-A-Way Dining Services Manager. As the person responsible for all facets of food service at Hide-A-Way, Lisa comes in early and works long hours; she smiles when she says she never misses a sunrise at camp. Though you can’t dispute that the scenic backdrop at Hide-A-Way is amazing, her real inspiration comes from the people at camp. She does this job because she loves the staff and the kids, as they inspire, amuse, and amaze her, and she truly believes that for children, camp is a magical place. Smaller groups are hosted at Hide-A-Way throughout the year those in the main camp area, and it is home to the Ranch program during the summer, so Lisa has a chance to really get to know the kids and families who stay there. She makes it a point to interact with them, offers challenges to them, and plans special meals for them including an outdoor dinner each summer Ranch session. She even offers a horse treat-making class for campers on rainy days. She makes a point of getting to know the international staff here, appreciating what she learns from their customs and perspective. She values the diversity that exists at camp because our staff and campers come from diverse racial, ethnic and socioeconomic backgrounds, and she insists that developing respect comes from understanding people who are different from one another. That’s why she’s so passionate about Project 236; that we can bring kids to camp from many different walks of life is what balances our camp community. So next time you’re at camp, bring a little extra cash with you for some raffle tickets. The tickets you buy will benefit a good cause, and the more you buy the more likely your chances of being able to share a plate of Lisa’s homemade cookies with your camp friends.